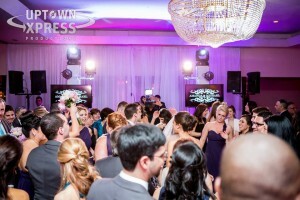 We kicked off the busy 2014 summer wedding season in Montreal at the PMG La Plaza in downtown Montreal! 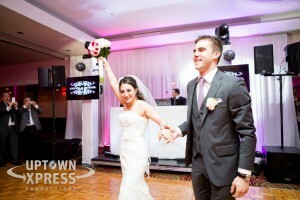 Amanda and Michael wanted a very fun packed reception with lots of dancing, and that’s what we delivered! The couple are big hockey fans and we created a special intro for them identical to the Montreal Canadiens! There was dancing all dinner long and you see our favorite interaction game, the dance-off! We provided MCing in both English and Italian too! 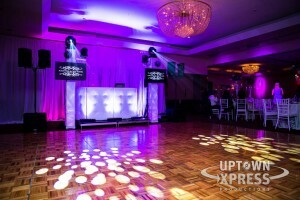 Amanda and Michael went with our “Production” package, which has a fantastic light show and the LED tv’s.